Xamarin Studio Update channel error. "The installed Xamarin.iOS (version 10.2) on the Mac Unnamed Server (255.255.255.255) is not compatible with the local Xamarin.iOS 10.3." 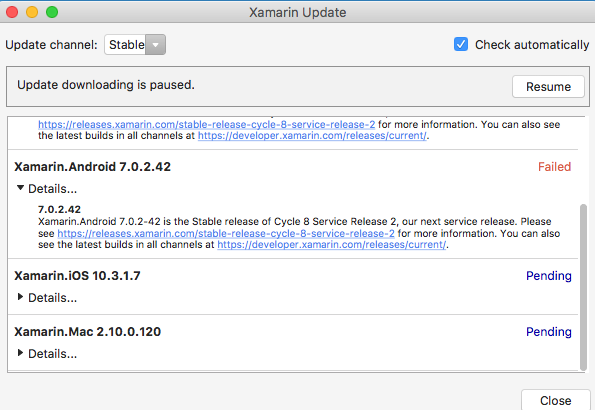 I resume download but the state is the same, it stops at Xamarin.Android 7.0.2.42 and not continues with the followings pending updates. There is any option to solve this situation please? 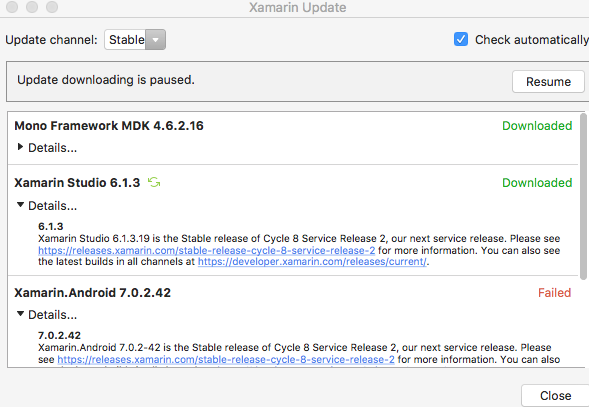 Try downloading Xamarin Android from here on your Mac. Then, after that is installed, see if XS can download the remaining pieces. Thanks John. It run ok now.